How is IKD's IKEA Kitchen Design Better than the Home Planner? How is IKD’s IKEA Kitchen Design Better than the Home Planner? We’re expanding our kitchen and need a good flow, but I’m no expert. I need a better visual than the one the IKEA Home Planner can give me. If I use your service, will your design show me only the kitchen cabinets? Or can you include a dining room table (not to buy) so I can see how it would look? Can you provide other items such as lighting, under-cabinet lighting, or crown molding? We’re so glad you asked. First let’s look at the visual IKEA’s Home Planner can give you. 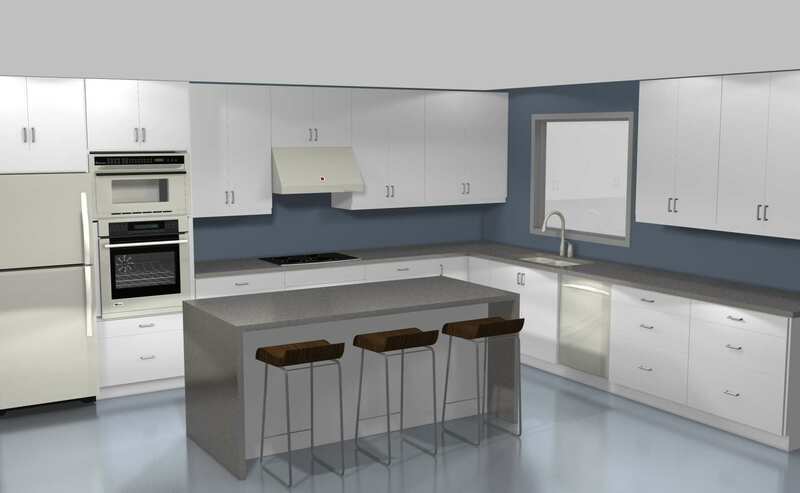 Now, for the same kitchen, here’s what IKD’s full-color, 3D image of what your IKEA kitchen design will look like in your home. A picture really is worth a thousand words, isn’t it? Here’s another view of this kitchen. We think our design image is prettier than IKEA’s, but that doesn’t answer the questions about what’s inside. Our full-color, 3D images of your IKEA kitchen design bring our technical design files to life. You’ll be able to see in detail – from multiple angles – how your new IKEA kitchen will look in your home. Your kitchen design file includes the floor plan, elevation drawings, and overall schematic of your kitchen for the IKEA Home Planner. We’re not usually so exacting in how we use these terms, but in this post we’ll be really specific so you know what goes where. We can include just about anything in your kitchen design image, for visual purposes only. Yes, we can include your dining room table so you can get an idea of how it would look (and how it would affect your available space!). Sometimes we’re asked if we can make recommendations for countertops, paint, flooring, or tile. The short answer is no, we don’t. We’re kitchen designers, not decorators, and that’s what we do best. So we stick to the design and let the experts figure out the more cosmetic details. If we can include it in your design file, it will either show up in your IKEA shopping list, or in our special “Extra Items” list. 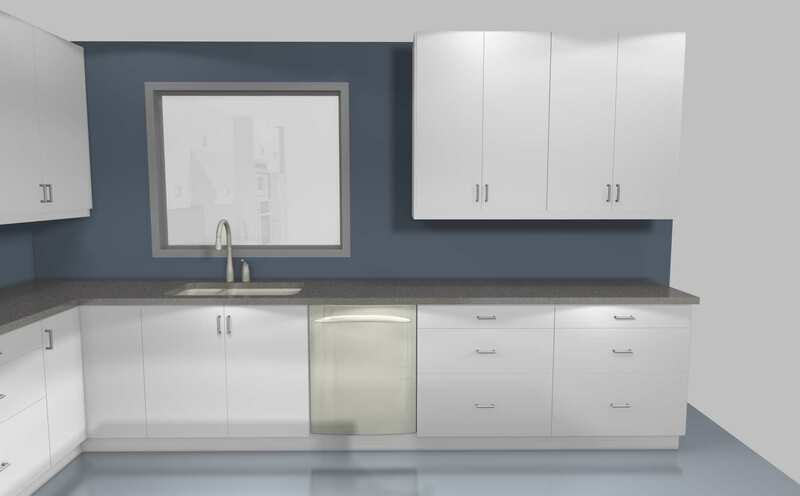 Important note: The custom cabinets we design for you will not appear in your Home Planner file or IKEA shopping list. If you see a gap in your Home Planner file, don’t panic. All of the items you need to purchase for custom cabinets will appear in your Extra Items Shopping List. *Unfortunately, we can’t include IKEA’s quartz or granite countertops in your design because IKEA’s selection varies from store to store. But, we can include them in the 3D color image as we had mentioned previously. 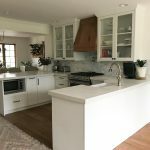 While we give all of our clients our complete design package for a custom IKEA kitchen that fits their unique space, there are a few things that we can’t do. Our designs don’t include specific handle styles or drawer inserts such as knife racks, cutlery trays, drawer dividers, pot lid organizers or trash cans. Our designs also don’t include wall organizers (magnetic knife racks, rails and hooks, etc) or floating shelves. We do not include light fixtures in design files or in the 3D rendering, even if the fixtures are from IKEA. Due to vast variations in electric codes and standards across cities, states, and countries, we recommend you plan this separately with your electrician, contractor, or IKEA sales representative. 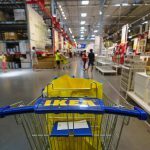 Yes, the IKEA kitchen sale begins this week. We can’t emphasize this enough: start your kitchen design with IKD as soon as possible! That way you can shop the sale without having to rush. I just signed up and opened IKEA kitchen planner. I live in US. Planning guide reads: “measure your room in inches”. But units in the software are metric (mm), and I see no option to switch to inches. No other way but to recalculate my measurements? 24 inch wide electric range, 18 inch wide dishwasher, 24 inch wide refrigerator. You say “Visual approximation of non-IKEA appliances available upon request”. How can I get it? Is it free? We can definitely work with non-IKEA appliances, even with the compact sizes you’re listing. Feel free to contact us directly for specific questions about your design!